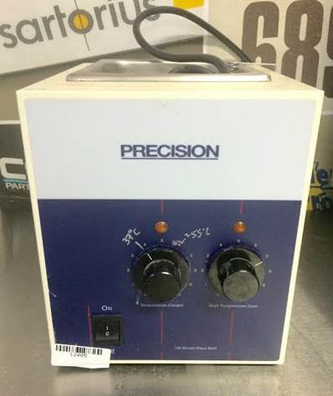 The Fisher Scientific Isotemp 120 Water Bath is ideal for industrial, clinical, pharmaceutical or biomedical procedures. The VWR Scientific 1201 water bath is a reliable, economical instrument to meet your basic water bath needs. These water baths are built with a high-grade stainless steel gabled lid to allow for less condensation and to help retain temperature. The VWR Scientific 1201 water bath comes equipped with a built-in temperature sensor underneath the heated mat for reliable temperature uniformity. 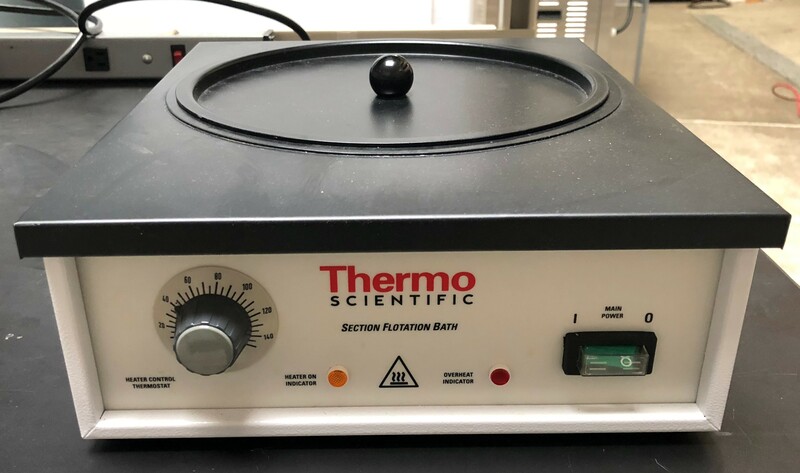 The VWR Scientific 1201 water bath comes with and easy to set analog control located at the front of the water bath to allow for operator's safety. 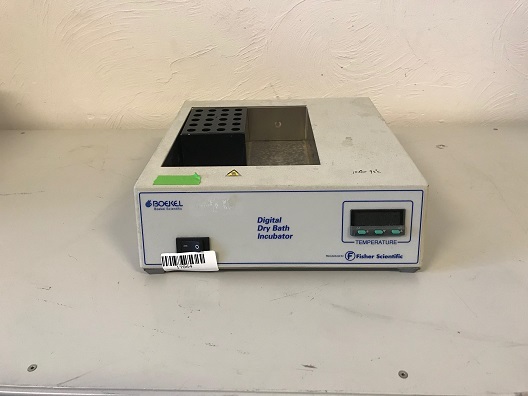 Chamber Dimensions: 19 x 12 x 6 "
The VWR 1224 is ideal for start-up labs looking to acquire used lab equipment while saving money on their budgets. These water baths come equipped with a high-grade stainless steel gabled lid to allow for less condensation formed from the humidity caused by the immersed vessel. The VWR 1224 has a built in temp sensor within the heated mat for accurate uniformity of temperature. 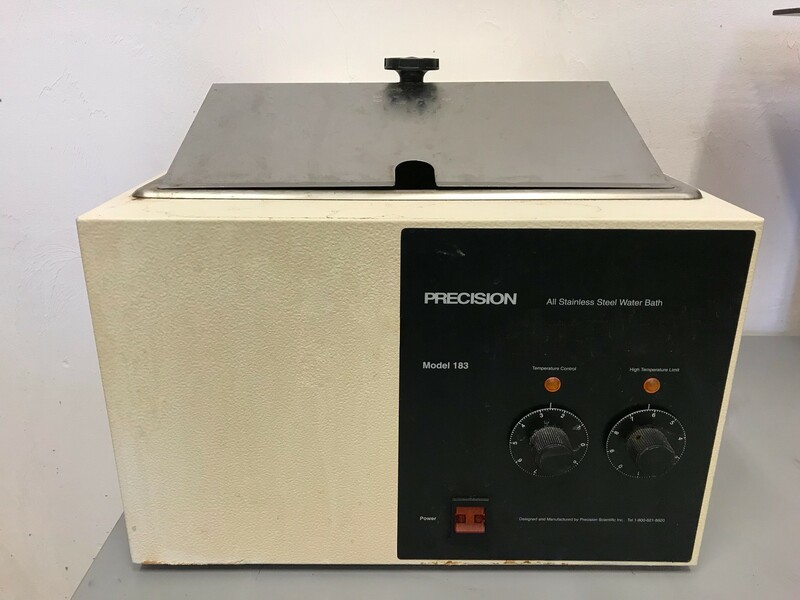 Designed to meet general purpose needs of a wide range of laboratory applications, the Thermo Scientific Precision 180 Water Bath provides consistent results. 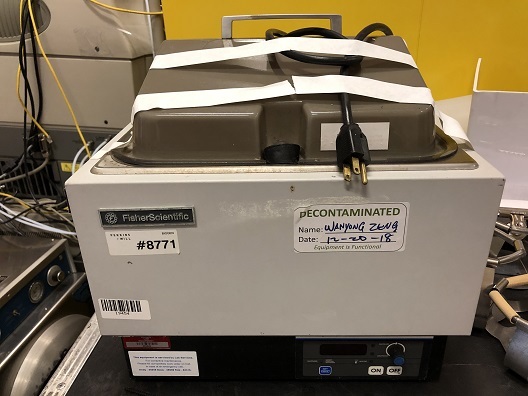 Sturdily constructed this water bath’s chamber is fashioned from a single sheet of easy to maintain, corrosion and chemical resistant stainless steel, and is housed in a epoxy powder coated steel exterior. The interior chamber has a 1.5 L (0.4gal) capacity. Controls for this analogue water bath are mounted on the front for easy access, with a hydraulic thermostat, making it an ideal choice when temperature set points wont vary much. Easy to use and maintain with precise temperature control. Ideal for all laboratory applications.